Home >> Who is Metatron? Archangelic energies are too vast to comprehend with our minds: it is in our hearts that we come to understand the qualities of this Being and to feel this ‘Angel of Presence’ very present and real in our lives, as his work bridges us more deeply into the real knowing of ourselves. Metatron has been described as the bridge between Heaven and Earth. As Ruler of the ancient map of consciousness known as the Tree of Life, he ushers in the life-force from higher dimensions, stepping them down into the worlds of matter while also guiding us on our return journey to wholeness, or Paradise. If you’ve noticed the shapes and forms at the heart of this website, you won’t be surprised to know that Metatron has also been widely seen as the Being who gifts us with the fundamental forms of Sacred Geometry – those forms that lie as energetic templates beneath all life. In Metatronic Healing, we harness the palpable, tangible energies of Metatron’s Love-frequencies to recalibrate and transform the multiple levels of human life – from those nebulous areas of the mind and soul right down to the DNA of cellular life. 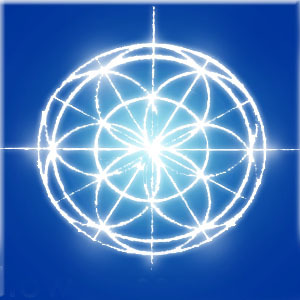 Their Divine Source is well described as the meeting point between the quantum mechanic and the mystic, but the real presence of Metatron is a constant and growing support to all who engage with these awesome, dynamic frequencies of Wisdom and Love.